April 24, 2018, 9:55 a.m.
By Nicholas Quah April 24, 2018, 9:55 a.m. Welcome to Hot Pod, a newsletter about podcasts. This is issue 160, published April 24, 2018. Atlanta Monster numbers. Despite how you may feel about the true-crime podcast collaboration between HowStuffWorks and Tenderfoot — and from what I’ve been seeing, there are abundant feelings flying in all directions — the podcast is putting up considerable numbers for a limited-run series, according to data given to Fast Company. The download data window — from January 5 to April 4 — spans across the entire active run of the ten-part podcast. The podcast, which released episodes weekly, debuted on January 5 and dropped its final installment on March 23. To break the data down into a baseline stat: across its active run, the podcast garnered slightly over half a million downloads per episode per month. Over Twitter, Jason Hoch, head of new initiatives at HowStuffWorks, tells me that “a new episode would typically hit a half million downloads on its first or second day.” He also challenged the baseline stat, arguing that the podcast should be more appropriately viewed that as driving over 1 million downloads per episode in the first full month of that episode being available. So do these numbers constitute a “runaway smash hit,” as Fast Company puts it? I generally try to hedge on hyperbole, and let’s remember that it’s hard to make concrete statements or comfortable apples-to-apples comparisons when assessing a show’s performance numbers. But I will say that we have a decent prior, if we were so moved to attempt a comparison: the Los Angeles Times and Wondery’s true-crime bonanza Dirty John, which reportedly pulled in more than 7 million downloads in its first month, according to CJR. That podcast opted for a more aggressive rollout strategy, scattering its six-episode arc near daily across the span of a week, which means that across its active run and subsequent first month, Dirty John garnered slightly over a million downloads per episode per month. Now, is this an appropriate way to compare two podcasts that operate within the same genre and are structured similarly? I’d say it’s the best we can do under the current limitations of podcast measurement and the lack of publicly available data for aspiring industry analysts. In any case, it’s yet another reflection of the convoluted hoops we need to jump through if any of us — producers, ad buyers, analysts, critics, so on — endeavor to get a clear sense on sizing for the purposes of strategy or further study. Speaking of Wondery: The venture-backed Los Angeles podcast company recently struck up a number of partnerships to monetize the downloads it gets outside of the United States: DAX (Digital Audio Exchange) in the United Kingdom, Whooshka in Australia, and TPX in Canada. Here’s the press release. For those unfamiliar: Most U.S. advertisers aren’t particularly interested in reaching audiences in, say, Japan. So you can make more money if you can find Japanese advertisers who are. After all, if this newsletter had a classified listing for a product that can only be shipped to American readers, there’s only so much the manufacturer can gain from having the ad spotted by an Australian Hot Pod reader (of which there are quite a few). It’s the little things that make a business, y’know? Anyway, something else to note about Wondery: The company has launched paid premium listening program, Wondery+, where subscribers pay $7 a month for an ad-free listening experience and additional material. It’s less like Gimlet’s membership program, and more like PodcastOne’s premium tier. Between the overseas monetization push and the new paid program, it seems like Wondery is making a hard run at expanding their revenue channels. (1) The deep gets deeper. An observation that’s long been made about podcasting is that people who like podcasts tend to really, really like podcasts. (Wistfully thumbs through my hundreds of podcast subscriptions, gazes at the tumbleweeds of decrepit earphones around me.) That seems to only be more true with the passing of time. Among weekly podcast consumers — the particularly engaged subset of listeners — the mean listening time is now 6 hours and 37 minutes, up from 5 hours, 7 minutes last year. In the webinar, Edison SVP Tom Webster suggested that this might have something to do with the rise of the daily podcast genre, which we can perhaps more broadly read as what happens when the supply-side delivers new innovative programming formats that helps broaden (and deepen) consumption behaviors. It’s an intriguing idea, but I suspect that I might have to do little more work on this hypothesis in the future. A related stat that was previously mentioned but bears repeating: Among weekly podcast consumers, the average number of podcasts consumed per week is now 7, up from 5 last year. Most importantly, it can be read as an illustration of the medium’s ability to attract, convert, and retain new listeners over time — particularly on its right side, which tells a story of the medium being moderately successful at converting new listeners into engaged weekly podcast consumers. (3) A zero-sum game? Perhaps the most interesting idea raised in the webinar is the notion that podcasting may well be locked into a zero-sum competition with other audio sources for new listeners. This is premised on the fact that, based on Edison Research’s “Share of Ear” research, people spend an average of 4 hours every day listening to audio in general — a number that has stayed flat for several years now. Which is to say: if we assume that the overall number of hours consumers will spend listening to audio will continue to stay the same, then podcasting, in its pursuit to grow, will have to convince these consumers to give up some of the time they’ve previously spent listening to say, terrestrial or internet radio. And there is evidence that podcasting has been able to effectively take food off the plates of its peers: Edison Research has found that the medium has doubled its share of the average American listener’s audio diet over the past four years. This aggressive picture of expansion is further bolstered by what we know of the consumption veracity of those who become active podcast consumers. Edison Research has another stat backing this up: Among active podcast listeners, podcasting now makes up the majority of audio consumed on their smartphones (52 percent). 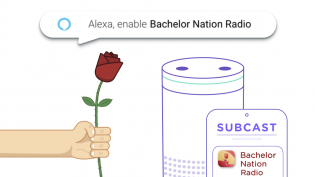 Of course, this configuration of a zero-sum competition may be rendered inapplicable if listeners were somehow convinced to increase their overall audio consumption hours. (I’m vaguely reminded of the slightly ridiculous but actually not-so-hyperbolic declaration by Netflix CEO Reed Hastings that the video streaming service’s true competition is sleep.) The obvious suspect to potentially lead such a structural change: the rise of the smart speaker, which is actually the rise of voice-first computing. 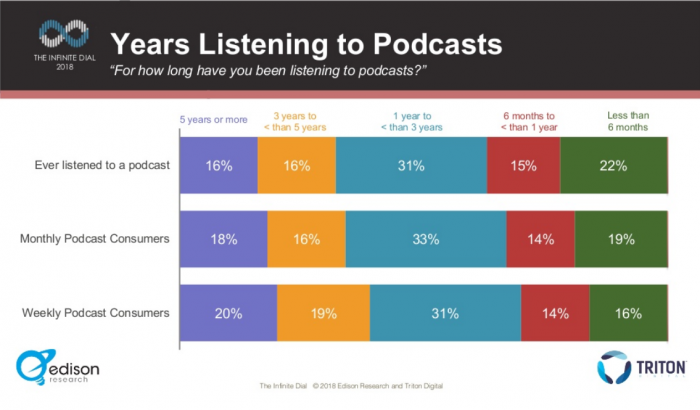 Over the years, the preferred listening method among monthly podcast consumers has shifted from the desktop to the mobile device. In 2018, 76 percent of monthly podcast consumers list smartphones as the device used most often for listening. which is up from 42 percent in 2013. Active podcast consumers are more likely to own smart speakers than the general American population, and this trend has only grown over time. In 2017, 11 percent of monthly podcast consumers report being smart speaker owners, against 7 percent of the general population. In 2018, 30 percent of monthly podcast listeners own smart speakers, against 18 percent of the general population. we face a potential arc where podcast consumption and smart-speaker adoption never actually reconcile. With these points, let’s raise the line of inquiry: What will be the thing that reconciles podcast consumption with smart speaker adoption? Is there any guarantee that such reconciliation will happen? And what does it mean if there isn’t? I’m still processing, so I don’t have a clear grasp on a position just yet. But I am thinking about the HomePod. The new new thing. I missed this development last week, but it’s a noteworthy one: Apple has reportedly lowered sales forecasts and manufacturing orders for the HomePod following what appears to be a slowdown in sales, according to a Bloomberg report. 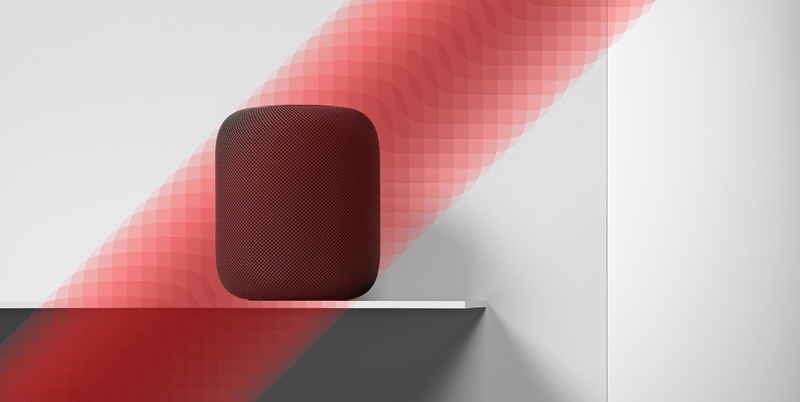 The HomePod was supposed to be Apple’s triumphant entry into the rapidly expanding and increasingly competitive smart-speaker market, which is currently led in the United States by the Amazon Echo and, to a smaller extent, the Google Home. But it had to deal with playing intense catchup after officially rolling out in February (following delays). 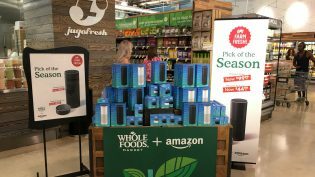 Meanwhile, Amazon’s Echo line has been out since November 2014, while the Google Home has been sold since October 2016. Apple ultimately opted for a strategy built around a significantly higher-end (and consequently pricier) product that emphasizes superior sound quality — in many ways a choice that’s consistent with the storied technology company’s approach in the past. The state and future viability of the HomePod is a subject for the Apple-blog set, and I’ll leave the matter to them. But the HomePod’s fate is significant to our interests, given Apple’s vaunted position in the podcast publishing community. After all, one could argue, as I have, that the story of podcasting’s growth over the past decade is largely the story of specific choices made by Apple, from its inclusion of the format into the iTunes ecosystem to its default bundling of a dedicated podcast app with iOS. Furthermore, Apple continues to be a strong influence over industry fortunes and appearances, primarily through the curatorial power it expresses through the Apple Podcasts homepage as well as the extensively scrutinized (and often inadequately understood) charts system. (Remember: it’s a hotness meter, not a bigness meter.) All of which reflects just how much mainstream podcast consumption is still currently facilitated through Apple products in general — and Apple smartphones in specific. This is, I think, low-key the most interesting story to track in podcasting. If Apple has long been the structural proponent of podcasting’s history, and smart speakers are likely the structural facilitator of audio publishing’s future, what does it mean for podcast/audio publishers when Apple seems shaky in figuring out its place in the smart speaker future? What happens next is up to Apple. It can open up HomePod to integration with third-party streaming music players — and improve Siri integration with those services — or it can keep the HomePod tightly locked into the iTunes and Apple Music ecosystem. While the iPod saw tremendous popularity in its heyday, it was a different time with far fewer players in the digital music space. Apple can’t ignore apps like Spotify and hope that its speaker will see the same level of success as its cheaper, more fully featured competitors. The HomePod needs to embrace today’s leading audio services rather than shut them out, or it’ll never grow beyond a niche product. This week, elsewhere. Over at Vulture, I reviewed Gimlet’s latest audio drama, Sandra. As a standalone experience, I thought it was interesting enough, but deeply incomplete. As an artifact of a much wider story about the life and times of the podcast industry, it’s wild! I also wrote a behind-the-scenes look at The New York Times’ first serialized narrative podcast, Caliphate — which is absolutely amazing, by the way. Two quick things: (1) the series has a really strong opening, and it’s a little surprising how uncommon that is; and (2) it’s funny how the non-narrated format in nonfiction podcasts — that is, one where the entire experience is diegetic, contrasting the conventional structure where the host or storyteller speaking directly to the listener — remains relatively uncommon. Introducing: Ask A Podcast Lawyer. I’ve been thinking about doing this one for a while now. As the podcast community continues to industrialize, I’ve been getting more reader questions that go beyond my technical expertise but are nonetheless important to tackle in some way or another. So I figured, why not phone-a-technical-expert? Let me introduce you to Lindsay W. Bowen, a partner with Cowan, DeBates, Abrahams & Sheppard LLP (CDAS), who works on the firm’s podcasting group representing podcasters, networks, production companies, and advertisers in everything from acquisition and production legal to book and TV sales. Bowen was kind enough to agree to participate in this hare-brained idea. DISCLAIMER: This is not legal advice, and there is no attorney-client relationship between Hot Pod readers and CDAS or any of its lawyers. Any individual matter depends on its unique set of facts and you should consult an attorney about yours. Also, the links are for illustration only, and we don’t endorse the sites or their content. Finally, this is written in an attempt to honor the house style of Hot Pod, which has got a little kick to its voice. Don’t judge me — I’m usually appropriately boring. TL;DR — Look at your contract and read the termination provision carefully. Also, look for an audit clause. Sorry to hear you’re not being paid properly for loading your 16 tons. I’m sure you’ve written the network about this. If you haven’t — you should probably do it soon. You need to establish a written record now (and maybe there has been some dumb mistake or problem with the accounting people ¯\_(ツ)_/¯ ). If you can afford a little lawyer time, it’s best to get her input first, so you don’t write anything now that hurts your position later. And if you don’t get a response, she can follow up and ratchet up the pressure. Because you’re a small podcast, there’s probably not enough money at issue to make litigation worth it. But look at the monetary requirements for small-claims court in the applicable state. It may still not be worth your time, but winning feels good. The most cost-effective outcome might be finding another network. There are a lot of good guys in podcasting. But your contract’s termination provision might have restrictions that say under what circumstances you can and cannot end the relationship. Check to make you are not buying yourself a problem by trying to walk away when you don’t have the right. That being said, not getting paid at all will usually be a material breach that will allow you to “fire” the network. PRO TIP: Many royalty or revenue share-based entertainment contracts have an audit provision that gives the artist/rightsholder/David Lee Roth the right, usually once a year, to hire an accountant to go to the company’s physical location and examine the books. Look for a fee-shifting clause — commonly, if there has been an underpayment of 5% or more, the company will have to pay your accountant. Everyone should negotiate to try for an audit provision with a such a clause. That way, even where the threat of litigation might be a bit of an unloaded gun, the prospect of an accountant nosing around — potentially on the company’s dime — will get that follow-up letter read by the right people and get you paid. “David Chang Partners With Bill Simmons for Ringer Podcast.” (Variety) Hit me with that Ugly Delicious action. Detour, Andrew Mason’s augmented reality walking tour app, has sold its technology and content to Bose. According to a note the company sent out last night, the service will shut down after May 31 while Bose pursues new partners to host the Detour tours as part of its upcoming augmented reality platform. “The next Dungeons & Dragons sourcebook will go to podcasters first, and you can listen in.” (Polygon) Really smart bit of community engagement — and targeted marketing! POSTED April 24, 2018, 9:55 a.m.
Quah, Nicholas. "How do HomePod’s meh sales affect Apple’s place in the podcast ecosystem?." Nieman Journalism Lab. Nieman Foundation for Journalism at Harvard, 24 Apr. 2018. Web. 23 Apr. 2019. Quah, Nicholas. "How do HomePod’s meh sales affect Apple’s place in the podcast ecosystem?." Nieman Journalism Lab. Last modified April 24, 2018. 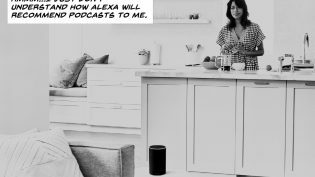 Accessed April 23, 2019. https://www.niemanlab.org/2018/04/how-do-homepods-meh-sales-affect-apples-place-in-the-podcast-ecosystem/. | title = How do HomePod’s meh sales affect Apple’s place in the podcast ecosystem?